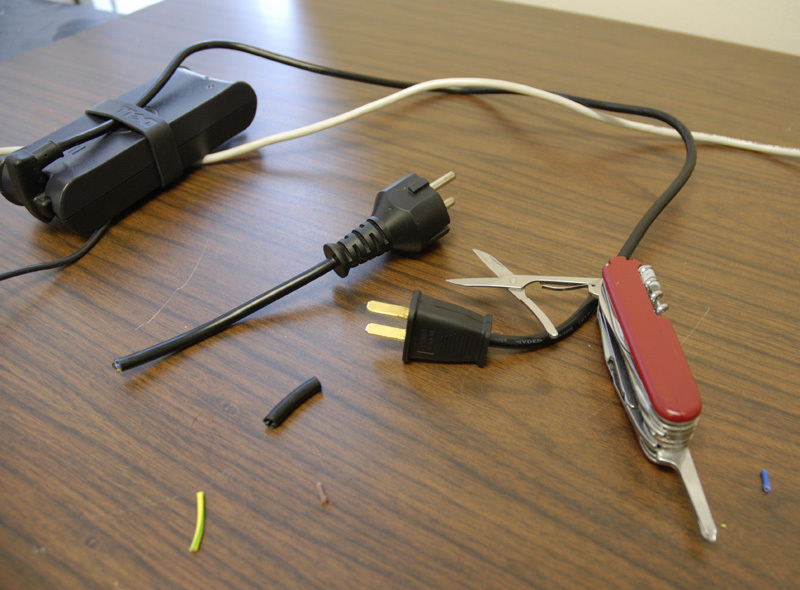 Did some electricity work today in order my laptop’s and wireless’ power supply can be used without taking my adapter plug with me all the time (see picture, it looks crappy but is fool-proof). Still cold, Friday is supposed to be really cold (below -10°C). Besides the temperature at the moment the weather is really similar to Austria’s weather; even the amount of snow is comparable. like it! A friend told me that he had to wait for his surf-stuff once for 4 whole weeks. So I am a bit relaxed, I just waited for 5 days so far..
update: got a call from Austrian airlines today, seems like my lost bag was located in egypt/hurghada (!) and will be shipped over during the next days. that would be awesome!! Flickr Tag Error: Call to display photo '2312928051' failed. Flickr Tag Error: Call to display photo '2313738984' failed. nice pictures! the power plug really looks professional made :) i’m looking forward to upcoming posts.